Here are official pictures by Jump From Paper for Afternoon Tea. This giveaway is open to both US and International. 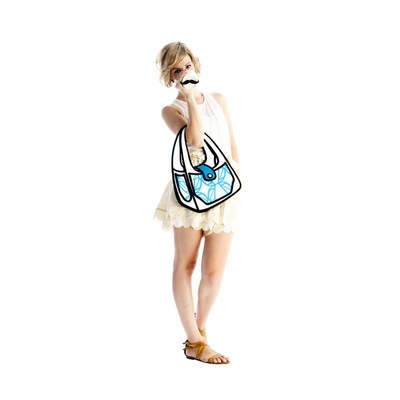 In case of a winner that is from the US, this bag will be send through the USPS with a tracking number. If a winner is international, it will be shipped through the United States Post Office and I cannot be held liable for the package should it get held up in customs or get lost. 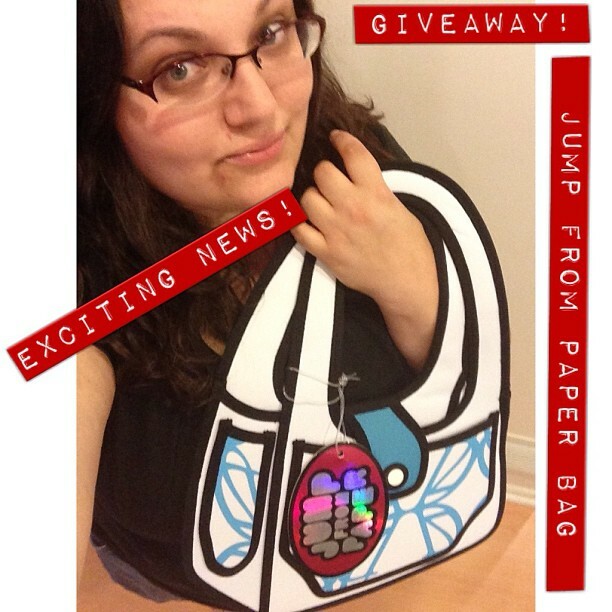 This giveaway is open now until July 31, 2013 at 11:59pm EST. A winner will be randomly chosen on August 1, 2013. This promotion is sponsored by Jump From Paper. Winner will be contacted by email. In the case of winner not reply after 24 hours after the congratulatory email has been sent, a new winner will be chosen. If you have any additional questions – feel free to send me an email! Hello Dolls!! Did you miss my regular postings? The last two weeks were hectic and I am so happy to blog again! There’s a lot of upcoming swatching and reviewing posts. 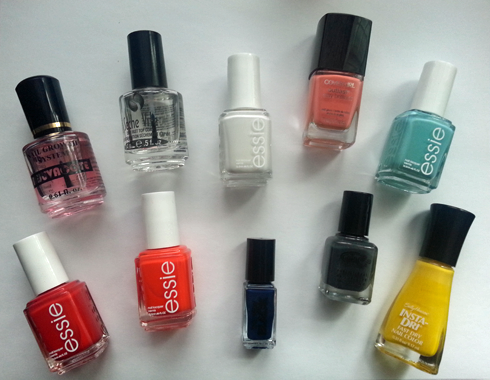 Up for review are these polishes by PolisHaus. PolisHaus sent over Atlantean Bleu and Above The Clouds for review not too long ago. Without further ado, here’s the review! Atlantean Bleu is this lovely aquamarine blue shimmery crelly polish with a good variety of glitters in all colors, shapes and sizes. 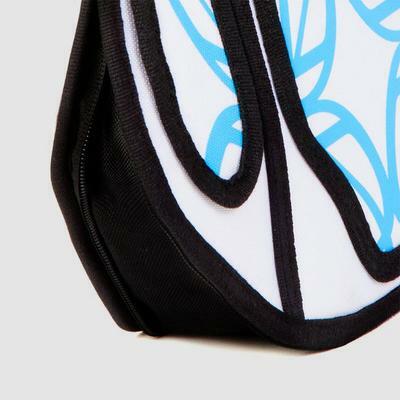 That shade of blue is to die for – it reminds me of swimming in the tropic waters. It’s that kind of blue. The kind that reminds me of summers by the beach or the sea. This is two thin coats of Atlantean Bleu on my nails. 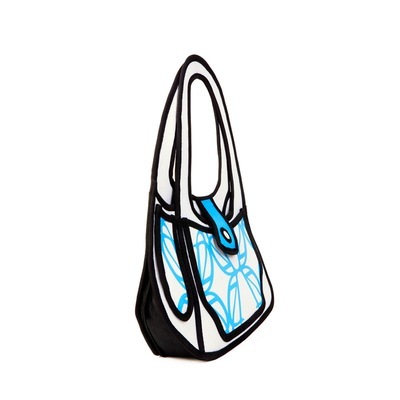 That blue – I am in love!!!! Here’s more pictures for you. You know I had to do a close up of Atlantean Blue! 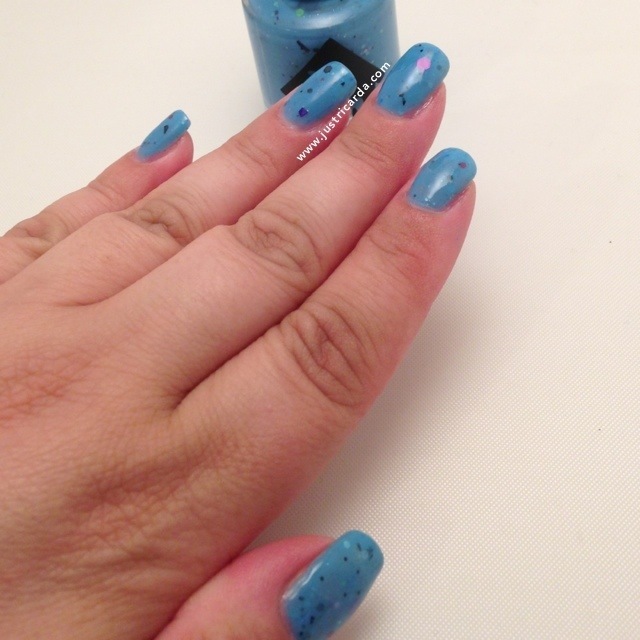 Atlantean Bleu is an awesome polish to wear in the summertime! Would I recommend this? Yes, the formula was fantastic! This applied on very nicely. Two thin coats to full opacity. I was impressed there wasn’t any need to do glitter fishing. Overall Atlantean Bleu is a great crelly. The only downside to this is it does have a strong scent to it. I have spoken to Lesley of PolisHaus about this strong smell. She mentioned that she is switching to different suspension base to address this issue. I give Atlantean Bleu 4 out of 5 stars! 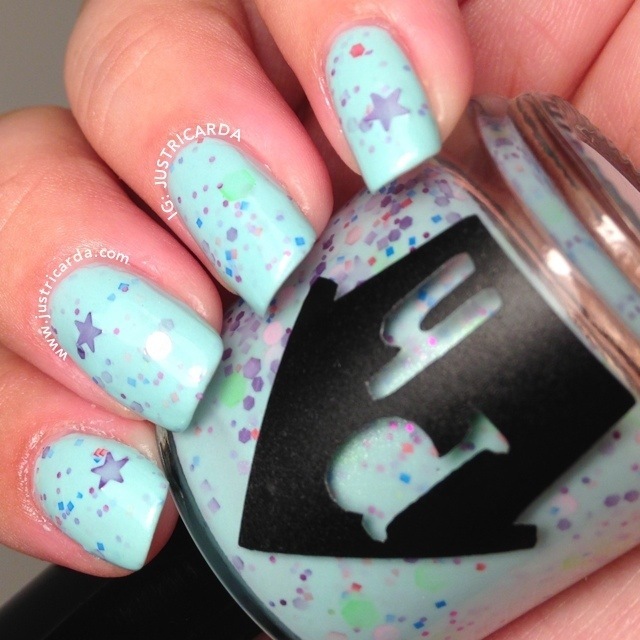 Above The Clouds is a beautiful minty blue crelly polish with a nice variety of of glitters in all colors, shapes and sizes. Girls, this is swoon worthy! 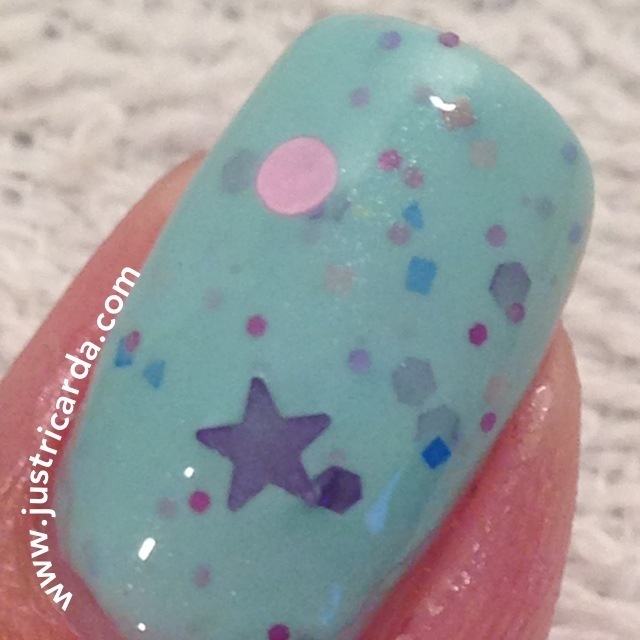 I adore the color combination of this minty blue base with all these glitters especially the purple stars! Here’s some more pictures of Above The Clouds. Would I recommend Above The Clouds? Yes! The formula again was awesome. This applied on very nicely. Two coats to full opacity. I was pleasantly surprised when these purple stars were painted on (star glitters are notorious for being stubborn and one would need to fish for the star glitters out of the bottle). You did amazing Lesley! Above The Clouds does have a strong smell to it but this is something Lesley is going to address by changing suspension bases. I give Above The Clouds 4.5 out 5 stars! Check out Atlantean Bleu and Above The Clouds as well other beauties by PolisHaus at http://polishaus.bigcartel.com/ Please be sure to follow her @polishaus on Instagram for updates and news! This is a simple post. I just did these nails tonight. 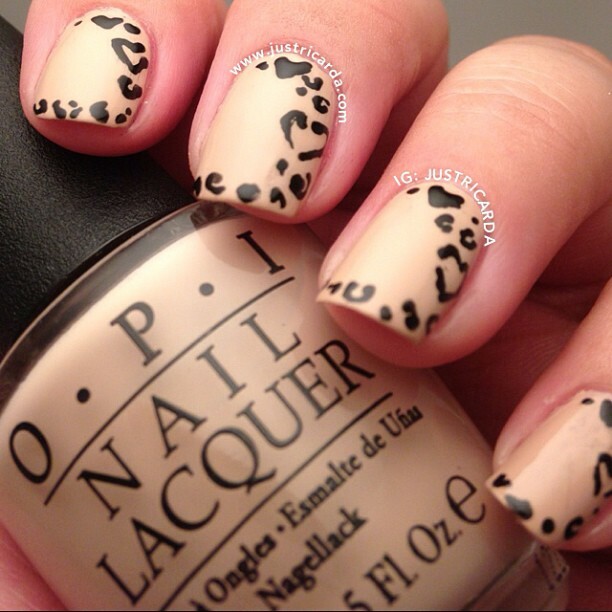 I used OPI’s Don’t Pretzel My Buttons (2 coats) and some black striper nail lacquer to do these random heart-shaped leopard / leopard prints. How do you like it? 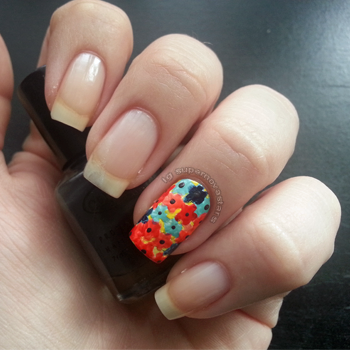 Here’s another nail art I did from few days ago. This one I used two coats of Azature’s Pink Diamond (with absolutely no undies underneath. It is very sparkly and I think this color is my favorite by Azature). Goodnight beautiful people. I cannot wait to show you my upcoming posts for this week. Ashley is a 14 year old amateur nail artist whose addiction to everything nail polish started late 2012. 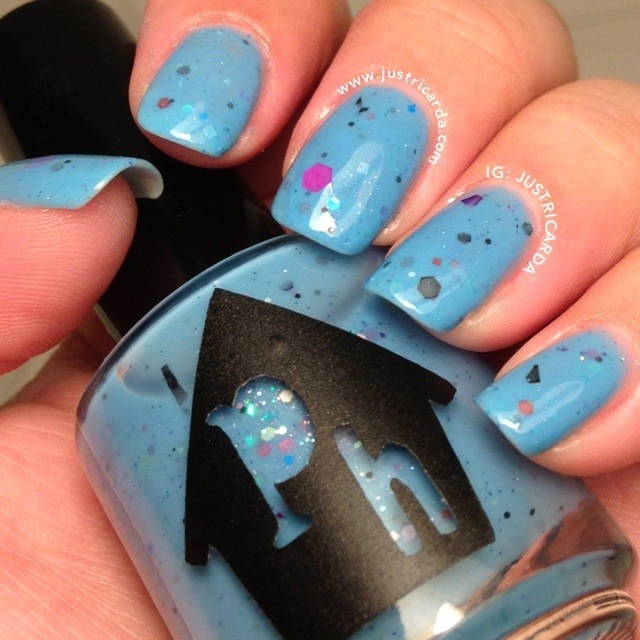 With her YouTube channel she can express her love for nail art with everyone else! It’s amazing how one can “create” art. There are so many beautiful things in everyday life. Flashes of light here and there,… suddenly it’s like a shining rainbow from from a far off distant land. Ooh look at those pretty colors! Amanda of @amaree31 from Instagram was kind enough to share these with you guys! 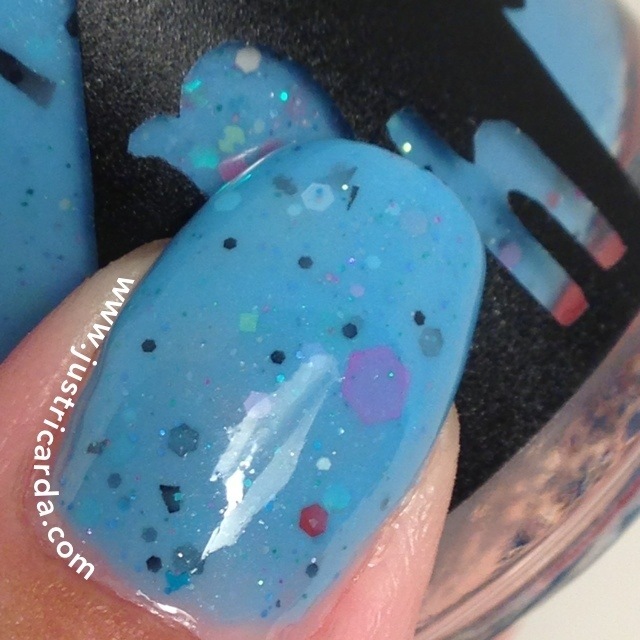 She took these close-up pictures of various polishes for this blurred effect. 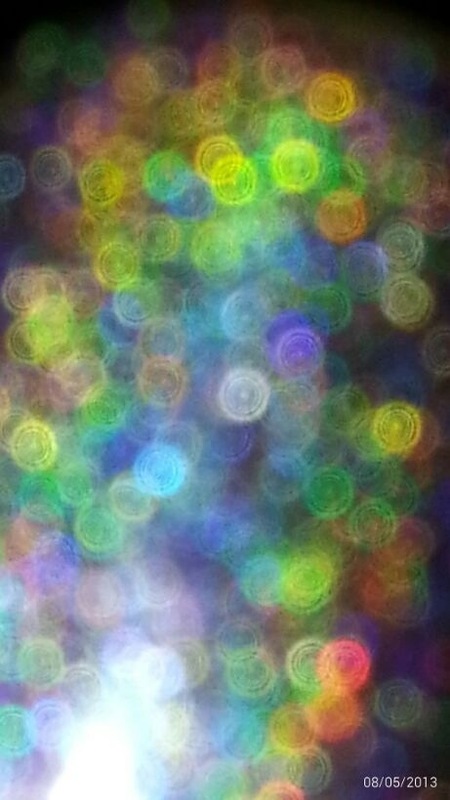 This blurred effect is actually called “bokeh”. I am currently using Zoya’s Aurora as my background on my phone which my favorite from this series of bokeh pictures done by Amanda! Check out all of her pictures! Feel free to use them for backgrounds or whatnot. Thank you so much Amanda for sharing this with all of us! We have a little budding star among us and her name is Katherine. 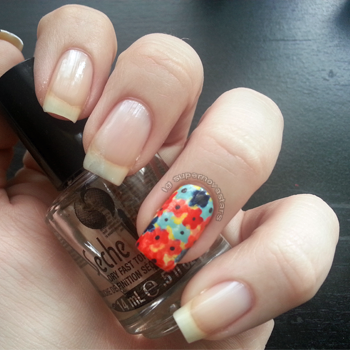 Katherine has only recently begun doing more detailed nail art. You can check out her work on Instagram @supernovastars or at http://instagram.com/supernovastars Here’s her fun florals tutorial for you guys! Hey everyone! I’m here today to bring you a tutorial thanks to the generous courtesy of Ricarda, who has given me this opportunity in order to break out of the box and venture into the world of nail blogging. 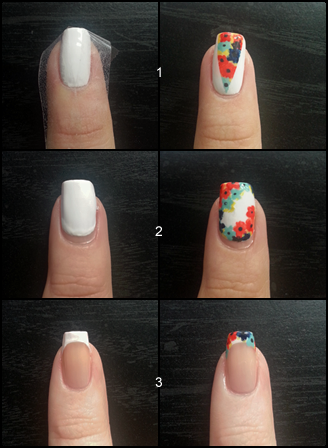 This is indeed my first blog post ever, and also my first nail art tutorial ever, and I really hope you all enjoy learning how to make this fun, bright and summery look as much as I enjoyed creating it for you! What is this ah-mazing tutorial, you may be wondering… What looks beautiful 3 months out of the year but never goes out of style? You guessed it, flowers! (If you didn’t, that’s okay too. We’ll pretend you did :P). Now, I don’t know about you, but I blame my mom for my love of all things floral. She’s had gardens ever since I was a baby and they’re always full and beautiful year after year. I’d say that her gorgeous flower beds are what inspired not only the actual idea for this design, but also the bright and happy colors. The following is a list of polishes I’ve used for this look. I recommend picking colors that stand out against each other. Are you ready and raring to go? Let’s get started then! First apply your base coat. 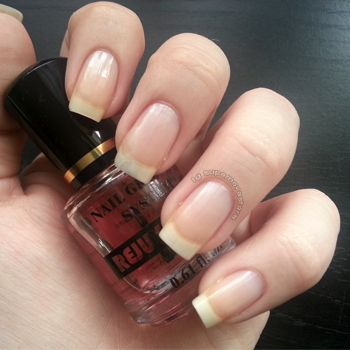 I use Duri because I have an affinity for nail strengtheners (I must own at least 4 separate brands, if not more haha) and Rejuvacote is my new favorite. Here is where the fun part begins! Take your lightest colors―Cover Girl Coral Silk and Essie Where’s My Chauffeur―and a small nail art brush and draw star or flower shapes all over your nail. Try to keep the contrasting colors in their own little sections. If you have white spaces that’s alright! We’ll cover them later. Now take your next darkest colors. 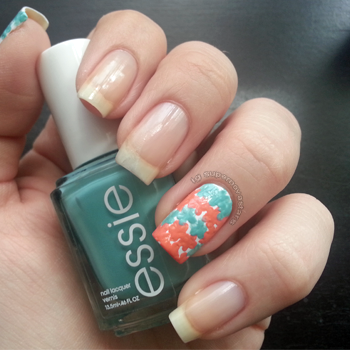 In this tutorial, I am using Hip-Anema and Saturday Disco Fever over the coral and the unnamed TNB over the teal. I ended up painting over all of the coral and only some of the teal. Mix it up and have fun on this step! Next I used Lightening to fill in all of the small white spaces between my flowers. Then I used the dark grey Color Club to make the middles (you could also use a black polish instead). I used my nail art brush for the dots, but you can use a dotting tool, a toothpick, a bobby pin, etc, whatever works best for you. If you have any large white spaces, you can make small flowers using the same dark grey or black. Final step! 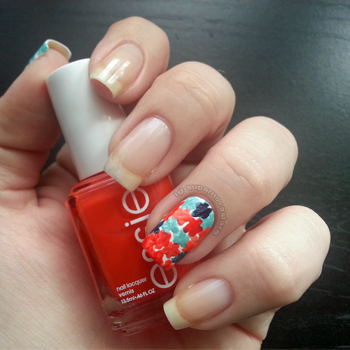 Make sure you let your nail art dry completely before attempting to top coat it, otherwise you run the risk of smearing all your beautiful work 😦 I used Seche Vite to seal in this fun floral design. Another tip is to stick the tape to the back of your hand 2-3 times to remove some of the stickiness. Firmly press down in order to seal the edges of the tape. Then repeat steps 4-7 from above. For look #2 I applied one coat of OPI Samoan Sand, let it dry and then applied two coats of Essie Blanc a little farther down my nail. This is called a ruffian manicure. 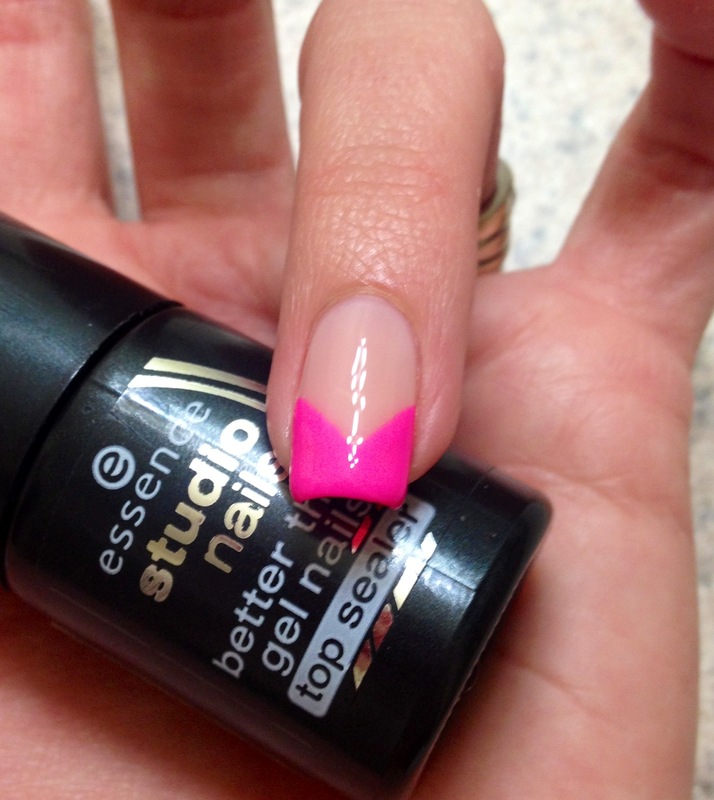 If you’re not comfortable doing this with a brush from the bottle, feel free to use a nail art brush instead. 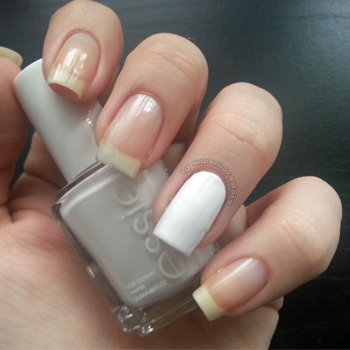 Then repeat steps 4-7 again, but leave an area of white going through the middle of your nail. For the final look, #3, I applied one coat of Samoan Sand and then painted on a regular french tip. Repeat 4-7 over the white and viola! 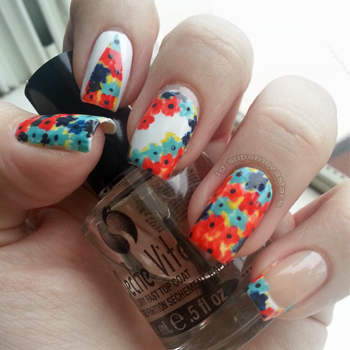 You have a beautiful summer floral manicure. Katherine Humpal is an 18 year old Pennsylvanian nail art fanatic and hobbyist whose obsession is new this year and has a mom that claims to not support her addiction but is secretly an enabler. Much to her appreciation.